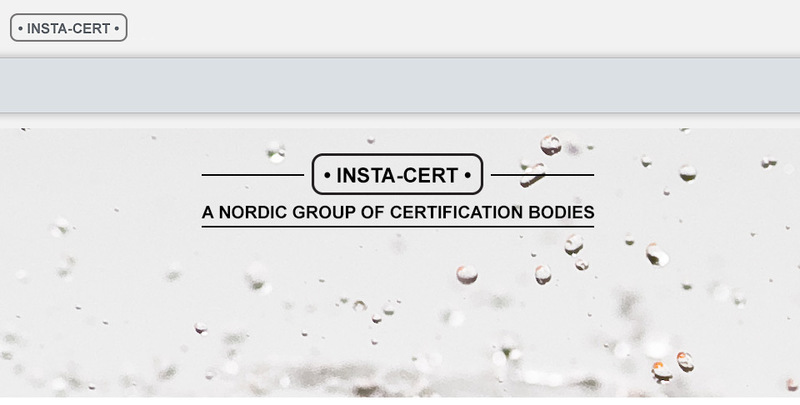 INSTA-CERT is a Nordic group of certification bodies. Certification by INSTA-CERT means that the certificates will be valid and useful in all the Nordic countries, Denmark, Finland, Norway and Sweden. The intention is to implement certification on basis of standards or corresponding documents, adjusted to the Nordic conditions, and to give manufacturers and buyers the possibility for certification with a high quality level in an established system deeply rooted in the four Nordic countries. INSTA-CERT group was established in 2004, starting the Nordic product certification. Nordic certification bodies from Danmark, Finland, Norway and Sweden are paticipating in this cooperation. A new SBC has been issued - Mechanical fittings for pressure piping systems. The SBCs are updated due to new versions of the standards. Some minor changes in testing are also introduced, see the Foreword in each SBC.